Dr Glenn Ryan was the on scene Medical Commander at the Grenfell Tower Fire in London & a flight doctor on the London HEMS. 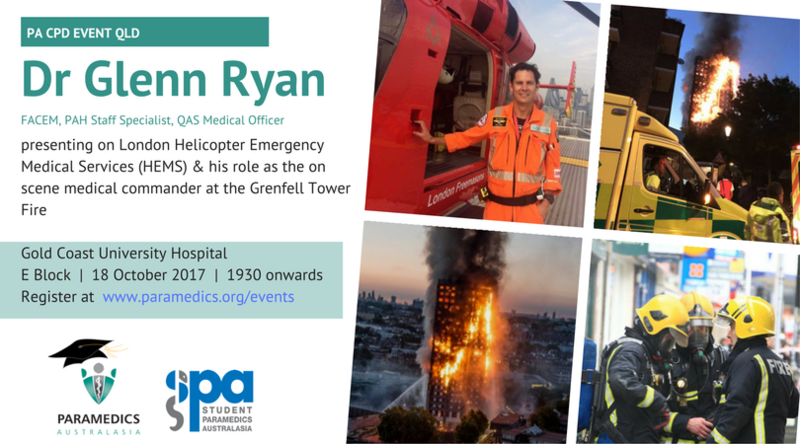 Dr Ryan is a medical officer with the Queensland Ambulance Service who is presenting on his experiences in the United Kingdom. Join us on the Gold Coast for a very informative evening, learning & networking. Spaces are limited. PA members & SPA members we value your membership & attendance costs form part of your membership fees.